Yesterday, I made a trip to Primrose Hill to track down another bakery on my list called, fittingly enough, "Primrose Bakery." Because it was so out of the way (two tube transfers and a 15-minute walk through Camden), I decided to make an afternoon of it and do some exploring around the area. Isn't their logo adorable? I almost didn't want to throw the bag away! Obtaining cupcakes aside, it was a lovely outing. Yesterday was one of the most beautiful days we've had since I've been in London. 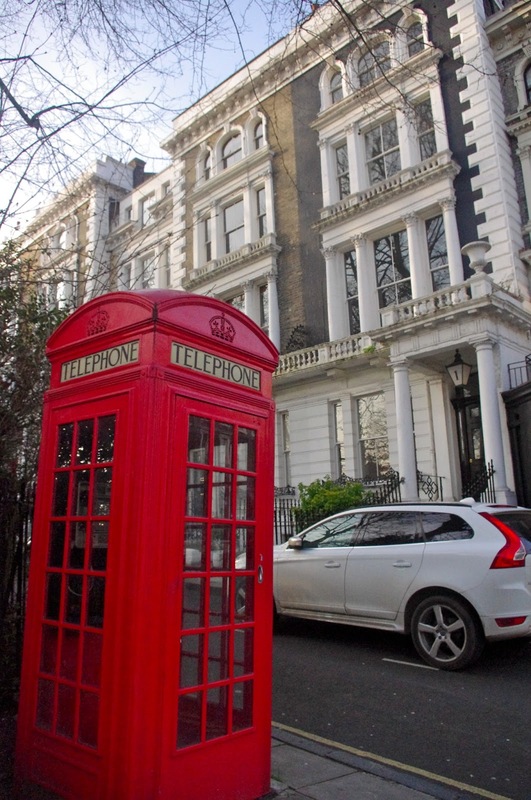 A breezy (but not blustery) 45 degrees and sunny, the weather made my walk around the upscale Primrose Hill neighborhood (home to a laundry list of celebrities, among them One Direction heartthrob Harry Styles) even more beautiful. 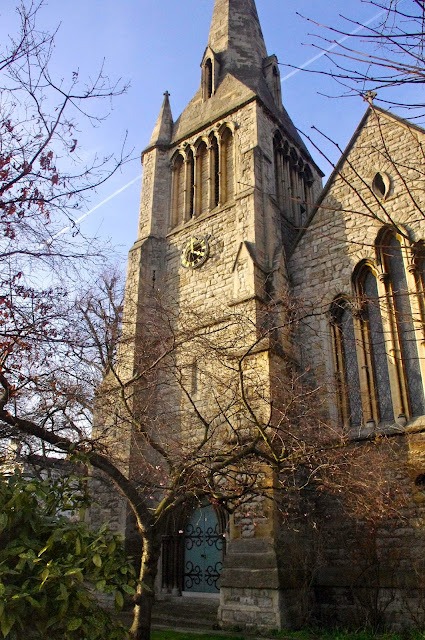 I brought my camera, armed and ready to capture the gorgeous late afternoon light slanting across the quintessentially London homes of the area and a picturesque old church I stumbled across. It seems like everything in London is old and picturesque. I loved the contrast of old, weathered stone with the fragile new life of the flowers. This garden was a pocket of early Spring. Neighborhood pub. This place struck me as So Very English. and a classy brownstone. I was ready to move in! I also climbed to the top of Primrose Hill, which offers a panoramic view of the city. I was not disappointed. At the top. I could see the London Eye, the Gherkin, the Shard, St. Paul's, and Westminster! Then I tracked down the London flat of poet Sylvia Plath, who lived there the year before her death with British poet husband Ted Hughes. 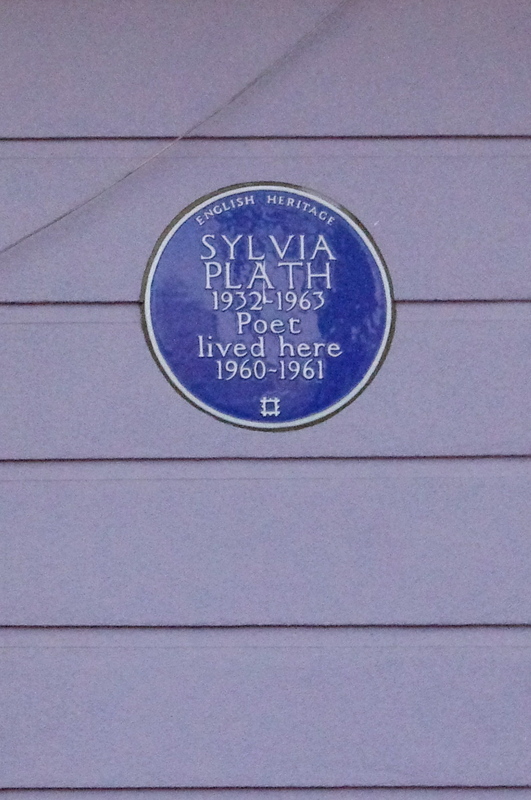 Sylvia was a favorite of mine in high school, so it was cool to see where she spent her time in London, a city she loved from the moment she set foot it in. I know the feeling. 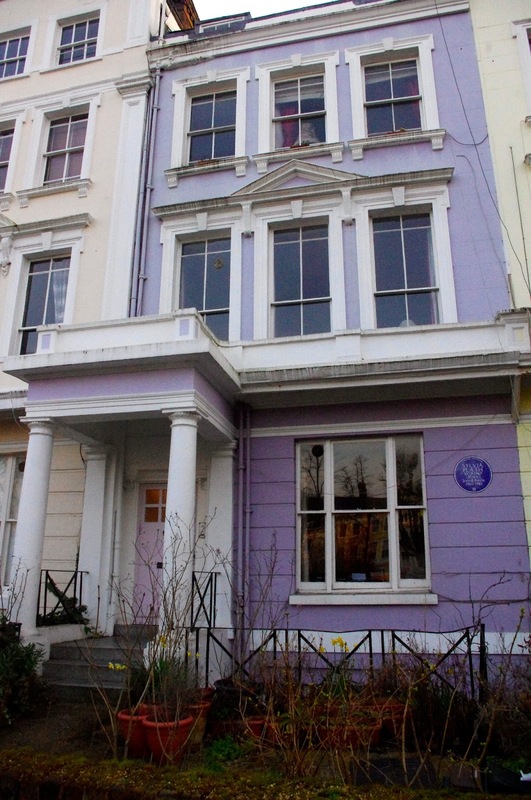 All the former homes of famous writers and artists get one of these plaques. Sometimes you'll stumble across one without expecting it! I was jealous of this view from her window. The Regent's Canal also runs by where I'm staying in the East End, but it is much more attractive here. But! I digress. You're here for cupcakes, not photo diaries. I completely understand. I don't like being kept waiting when I've been promised cupcakes, either. Primrose Bakery is housed in an adorable little shop tucked away on a residential street on the fringe of Primrose Hill. Inside, there's just enough room for the display case, a few seats, and a selection of cute, baking-themed gifts. Their cupcake selection was much more creative than Hummingbird's, featuring the likes of rose cupcakes and the day's special, salted caramel, in addition to classics like vanilla and red velvet. I chose the salted caramel (I was sold by the cashier's description) and a mocha cupcake. The mocha cupcake was a little less impressive. I cut it some slack, though, because it was a day old when I ate it, which may have contributed to the cake being a little bit dry and the frosting a little crackly on the surface. It was: chocolate cake with coffee frosting, topped with two espresso chocolates shaped like coffee beans (not actual chocolate-covered espresso beans, sadface). It was good...but not mind-blowing like the salted caramel cupcake. The salted caramel cupcake, though, was amazing enough to completely carry the day. Primrose Bakery gets ✭✭✭✭✭ without a question, and I can't wait to check out their other flavors and locations. Definitely the best bakery I have visited yet here in London. That sounds delicious! We should check out another location while I'm there! OK. I went to their website and... I don't believe it... you didn't sample any of their Cocktail Cupcakes??? I didn't know they had any!